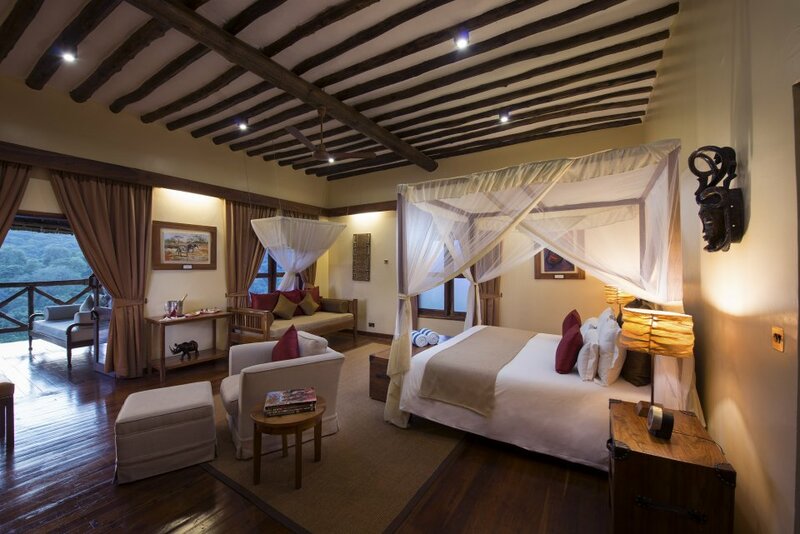 Discover sumptuous five-star luxury tucked amid the tranquil beauty of the Ngorongoro Conservation Area. 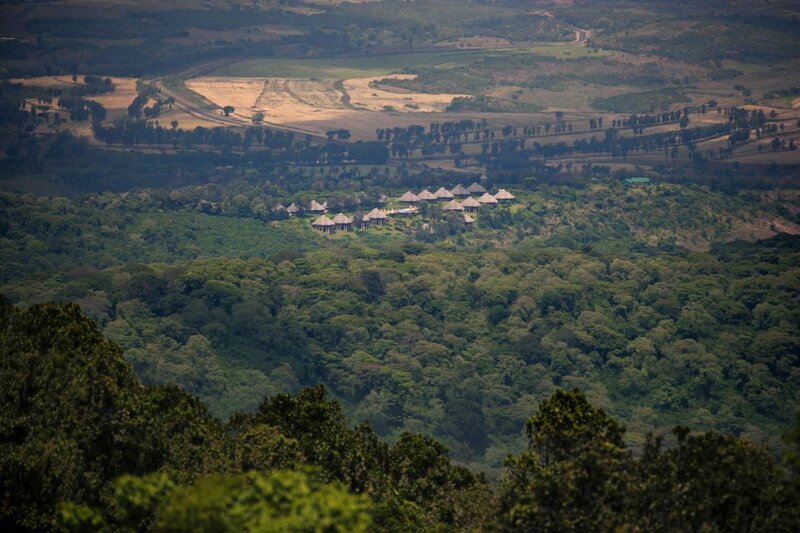 Relax by a crackling fireplace, rejuvenate at a magnificent spa and dine at a stunning restaurant. 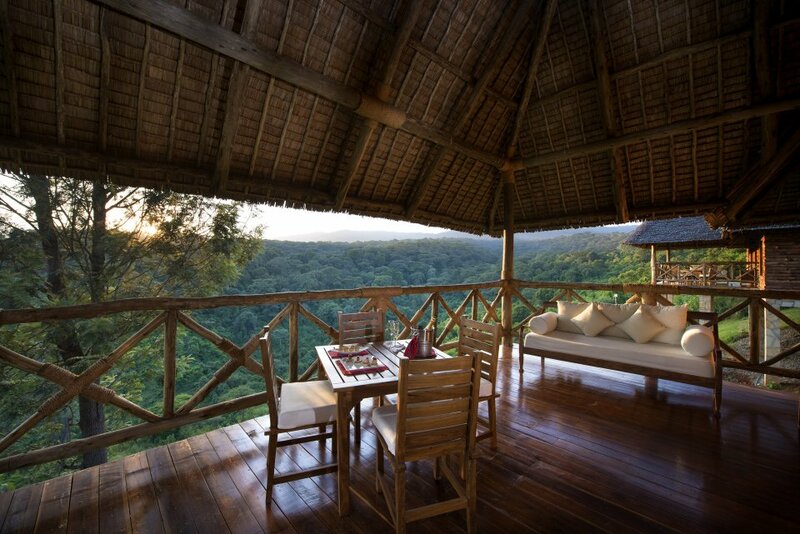 Resting only 20 minutes from the Ngorongoro Crater, this lodge offers an unparalleled African escape. 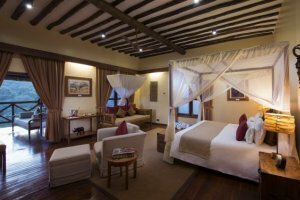 Unwind in one of 20 cottages featuring spacious bedrooms with rich furnishings, such as vibrant fabrics, traditional African art and dark wooden furniture. 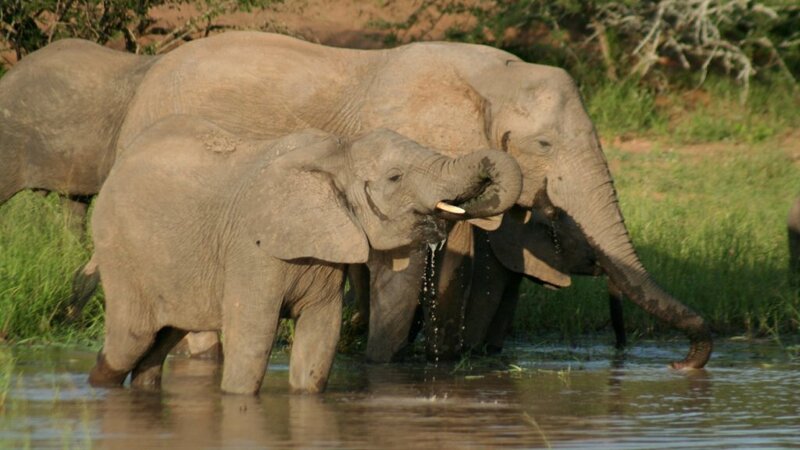 More than 50 acres of virgin Tanzanian bush surround you. 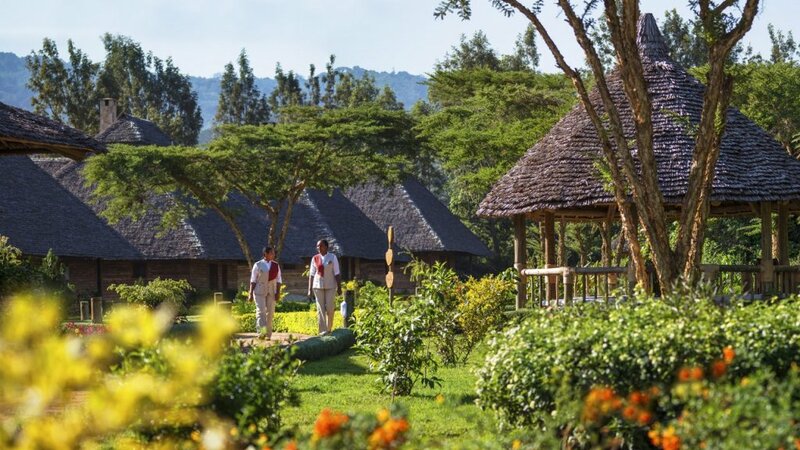 Enjoy a safari excursion into the Ngorongoro Crater, which can be arranged by the lodge, or linger closer to your accommodations and embrace the lush, natural beauty of the forest. Nature walks and village visits are also on the agenda. 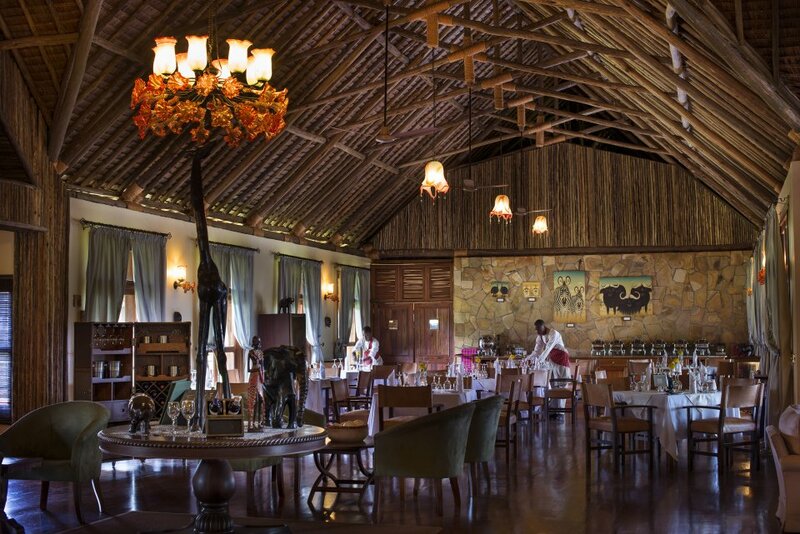 Settle into a comfy chair with a book from the library, sip a cocktail on the veranda or mingle at the Zebra Bar and soak up the authentic African ambiance. The Accacia Restaurant tantalizes with unique Mediterranean dishes, with many of the ingredients sourced from local gardens and farms. 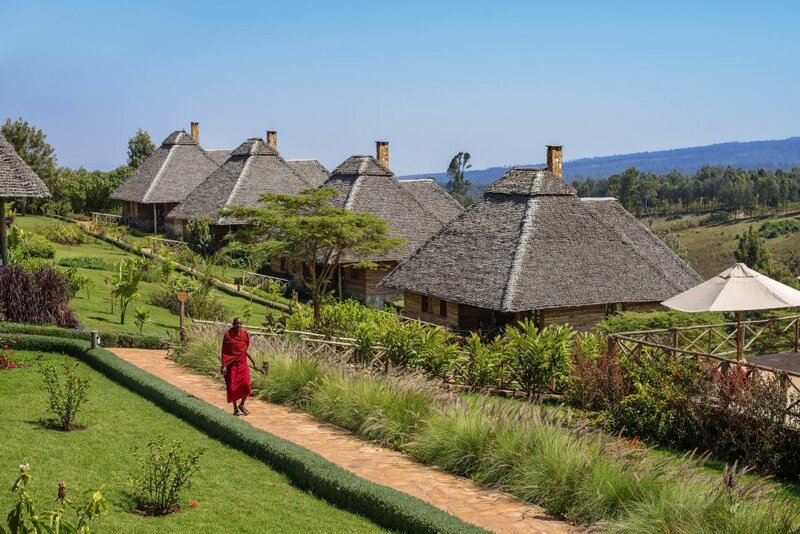 After exploring the wilds, indulge with some pampering at the Mvua African Rain Spa and enjoy an array of treatments based on ancient African, Asian and European traditions. Take a refreshing swim in the outdoor pool and then sun yourself on the large wooden deck.